Blanched vegetables are a light and colorful dish made with a combination of root, round and leafy green. Always choose, at minimum, two vegetables from two separate categories (root, round, leafy). Generally use more leafy and less root. This specific recipe combines all three categories with various vegetables but you should experiment with other vegetables. Don’t limit yourself to the endless possibilities! 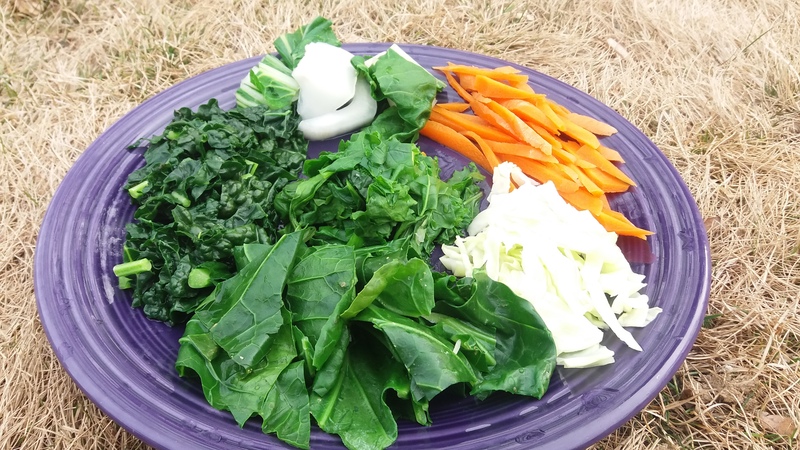 The method of preparation combined with the different types of vegetables creates a dynamic energy to help activate circulation from deep inside our bodies. Fill a pot halfway with water, cover and bring the water to a boil. Turn the flame down to medium, remove the cover and add a pinch of sea salt. In the open pot with the water gently boiling place each vegetable one at a time into the water starting with the sweetest in taste and lightest in color. It is fine if the water stops boiling after adding the vegetables. When the color of the vegetable brightens, 60 seconds or less, remove the vegetable from the water and place on a plate. Drain off any excess water and cover with a sushi mat to keep warm. Wait for the water to return to a boil before adding the next vegetable. Repeat the process for each. The vegetables should be crispy, bright and colorful. Serve warm, at room temperature or chilled. Optional: Serve with dressing or a splash of vinegar or lemon juice.